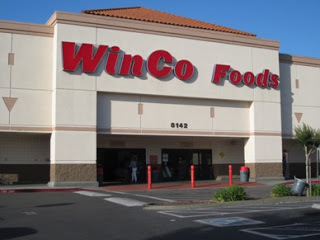 Victims in two separate incidents were mugged in the parking lot of the Winco store on Sheldon Road in Elk Grove. The first incident happened just after 11 p.m. on Friday, January 18 when the victim was approached by an unknown suspect who attempted to grab her purse. When the victim resisted, she was punched several times and the suspect fled in a grey or silver vehicle. The suspect was described as an African American male, 5’6”- 5’10, 145-160 lbs., wearing a dark colored sweatshirt and dark colored shoes. The second mugging occurred on the early afternoon of Monday, January 21. In this incident, two unknown suspects attempted to steal the victim's purse, but when an eyewitness intervened, both suspect fled the scene in a beige or silver Honda. The suspects were described as a Caucasian male, approximately 18-years old with a heavy build. The second suspect was described as a Caucasian male, approximately 16-18, 5’10”- 6’1”, and weighing approximately 180-200 lbs.